An Interview With The Brooklyn-Based Electronic Rock Trio, SAVOY! 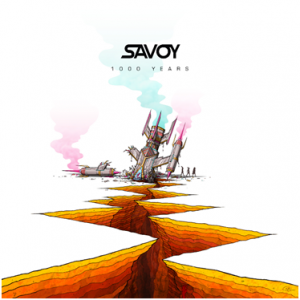 Savoy is a Brooklyn-based electronic rock music trio. In November, they released “Love Is Killing Me (ft. Chali 2na)” as the first single from the group’s EP. They then, released that EP, “1000 Years” on December 2. The single fe atures Chali 2na of the acclaimed alternative hip-hop group Jurassic 5. 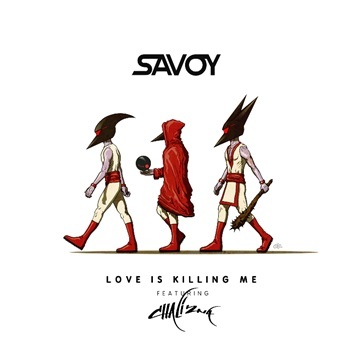 “Love Is Killing Me (ft. Chali 2na)” is the follow-up to SAVOY‘s previous single “Leaving You,” which went #1 on both Beatport and Hypem as well as hitting the Top 10 on the iTunes dance chart. “1000 YEARS” is the band’s first collection of tracks to be released since SAVOY‘s 2014 15-track album “Self Predator”. The new four-track EP-self-produced and released via Monstercat–further builds on the trio’s crossover appeal in the rock world. 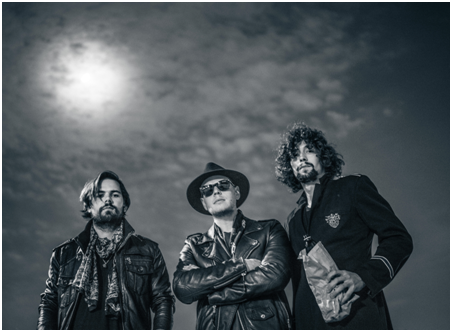 SAVOY is made up of Gray Smith (producer), Ben Eberdt (guitarist) and Mike Kelly (drummer). 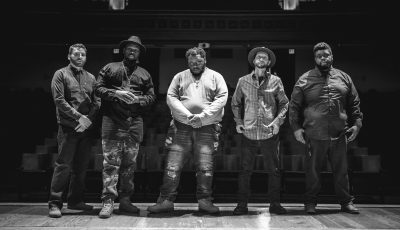 Their national headlining tour kicked off on January 6th in Nashville with stops in Atlanta, Orlando, Fort Lauderdale and Boston and TODAY, they reached New York for a show at Irving Plaza. The 16-date outing then continues with shows in Philadelphia, Baltimore, Milwaukee, Chicago, Indianapolis, Minneapolis, Omaha, Houston and Austin before wrapping Saturday, January 30 in Tulsa. For more information visit, www.savoyband.com and see below for full list of tour dates. Thanks for your time! So, what’s a typical day look like for you all lately? Hey! Glad to talk with you. A typical day for us lately is wake up – usually some sort of work out to get the creative juices flowing, followed by a lot of coffee and studio sessions all day and into the night. We have been writing so much this whole year, going through hours of new material, experimentation, etc trying to nail down our vision. We feel like though we didn’t play as many shows as usual this year, we have finally crossed the threshold in the studio – and we’re making the music we’ve always wanted to. How did Savoy first get started? How did you all meet each other? Why do you think you all work so well together? We met in the dorms our freshman year at University of Colorado Boulder. Mike and I, (Ben) were neighbors, and I met Gray because I saw him walking around strumming an acoustic guitar. We started to play music together 20 minutes later and assembled a crowd of students to check us out! We have been doing the same thing ever since. I think we work so well together because we’ve always been on board with the same vision – Rock to the Dance Floor – since we started. We set that mission statement and stuck to it. We all have different perspectives and strengths/weaknesses, and its because of our trust in each other and our mission statement that we are always able to achieve our goals and keep working hard. ERM. Electronic Rock Music. We bring the energy, dance party, and live production of a DJ set at a massive festival, yet with performance, instrumentation, and guts of a real rock n roll show. Our goal as always been Led Zeppelin meets Daft Punk meets Rage Against the Machine. What is it like being the first and only electronic act sponsored by Gibson Guitars? Its an absolute honor and a dream come true. The people at Gibson are so cool and supportive, they’re a great partner because we both want to bring real instruments back to dance music. Gibsons have always been my favorite guitar, and to now have the pick of the litter and choose any guitar to play and bring on tour is quite the treat! 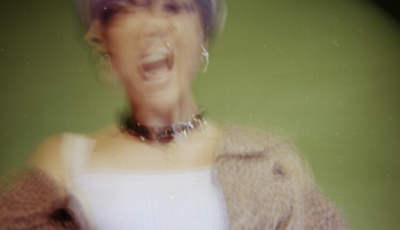 What was the inspiration for your single, “Love Is Killing Me”? Inspiration comes from so many different angles. We had the idea based on an old soul sample and then wanted to take it to a new direction. The song is really mellow in a lot of ways, yet it also packs a ton of energy. The drums and the choir sound we have really drive the song, and the Chali 2na comes in and really vibes it out. We are so happy with how it turned out – it works just as well on a monday morning when you’re chilling as it does on a Friday night when we’re raging a show! How did you come to work with Jurassic 5 member Chali 2na? What was that working relationship like? Chali heard our instrumental version backstage at a show – our manager played it for him and he was on board right away. He’s such a pro, he said he was feeling it, and went and recorded the verse for us right away and – shocker – it was dope! He came out and debuted the song with us at Red Rocks in April, and we’ve been waiting to release it ever since! How do you think your band’s sound has changed since you put out “Self Predator”? “Self Predator” drew from a lot of rock n roll structures but at the end of the day was a dark techno album engineered for the club. “1000 Years” is still based around the core foundations of dance but is built from the ground up with guitars, vocals, and live drums. That raw, band element makes it much more musical than our past works. You can listen to it while cooking dinner but you can also mosh to it at rock club. Its the perfect blend of retro meets future. “1000 Years” is the result of playing with the science of live and produced music and extracting the best of both to create an exponentially different experience. How excited are you all for your “1000 LightYear Tour” in January? We couldn’t be more excited. Our upcoming 1000 Lightyear Tour is an experiential mashup of time periods that puts live, head banging rock and roll music on top of a foundation of electronic sounds. You can see it being made, unique and imperfect right there in front of you. Our new show features more instrumentation which humanizes the music and brings the dance show to life. We mashup, jam, and remix all of songs to make every show a completely different experience so that even the most loyal fans are seeing us for the first time every night. Can you talk about being voted the #1 live laser show in 2015 by ILDA? We can’t take much credit for the awards since that is all the work of our laser operators and engineers. But we do consider the “laser guy” the 4th member of the band because all of those cues and lighting looks are being improvised live. Our laser operator designed and produced his own custom, laser controller just to have instant creative control over all the lighting elements. There is a lot that goes into putting on an iconic show and the music is a just one piece of the puzzle. Stylistically we were really tired of how stagnant and predictable the dance music scene was becoming and we knew that fans were getting restless. I completely understand how a lot of kids just want to have fun and go to a concert every once in awhile and not worry about who’s pushing the boundaries. But I don’t think you have to be generic and predicable to be fun or enjoyable. The most influential bands of all time made people think and took advantage of that great feeling you get when you are caught off guard by art. 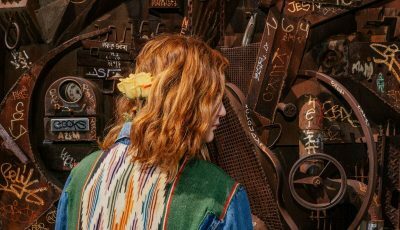 “1000 Years” is built on that synthesis of old and new as it plays to the nostalgic but preys on the desire for something new.